Tonight, Tuesday 5th September at 9.00pm, a new Sky Arts television series begins. 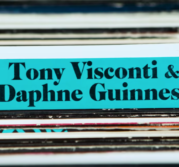 Tony Visconti’s Unsigned Heroes sees Tony, aided by Stewart Copeland and Imelda May, travelling across the UK and Ireland on the hunt for the greatest undiscovered musical talent. 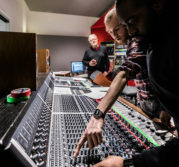 Parts of the filming took place in Visconti Studio, and saw Tony working with young, talented musicians including Kingston University music students. 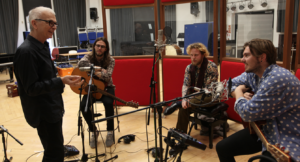 Here’s a shot of Tony working in the studio with London-based dreampop band Big Tooth, featuring BMus Creative Music Technologies graduate Adam Blake on guitar.